Still not ready? It's okay we'll help you!! 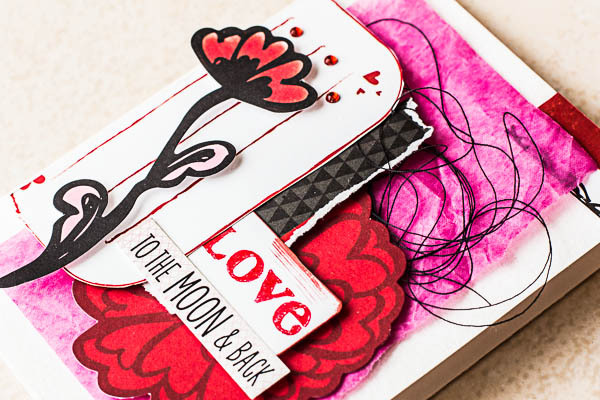 Are you in need of inspiration for that perfect card for that special person? You are in luck! We have lots of ideas that will help inspire you today! 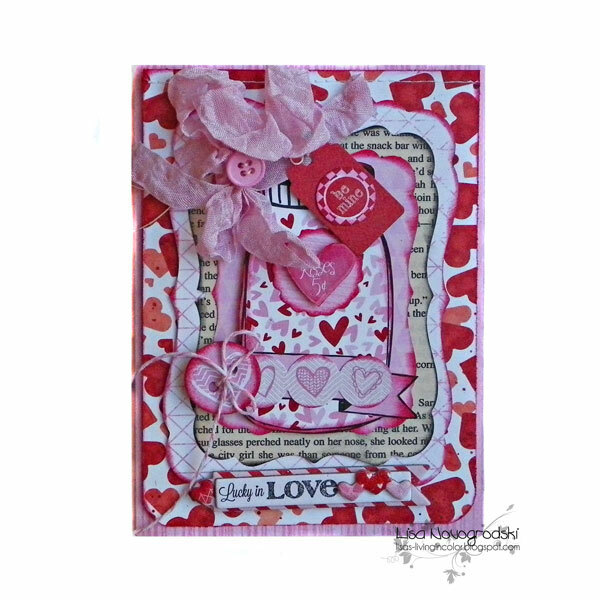 The "Head Over Heels" collection is a perfect choice for Valentines Day, Anniversaries or any time you would like to send a card to someone you love. 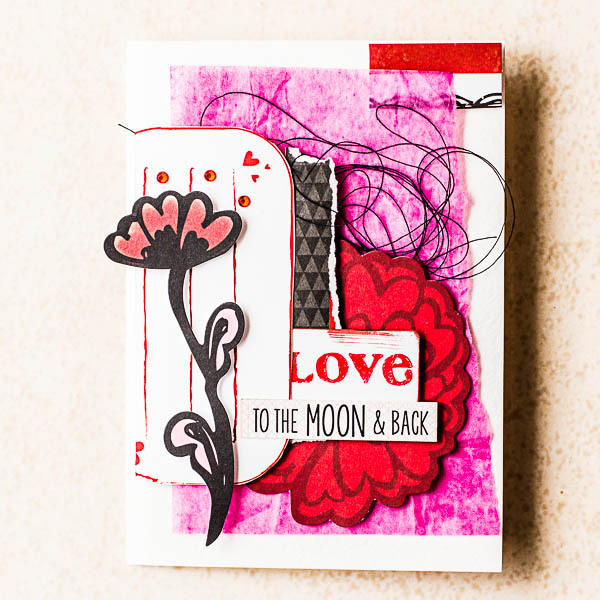 With all the coordinating embellishments, BoBunny makes it easy to put together a perfect card. 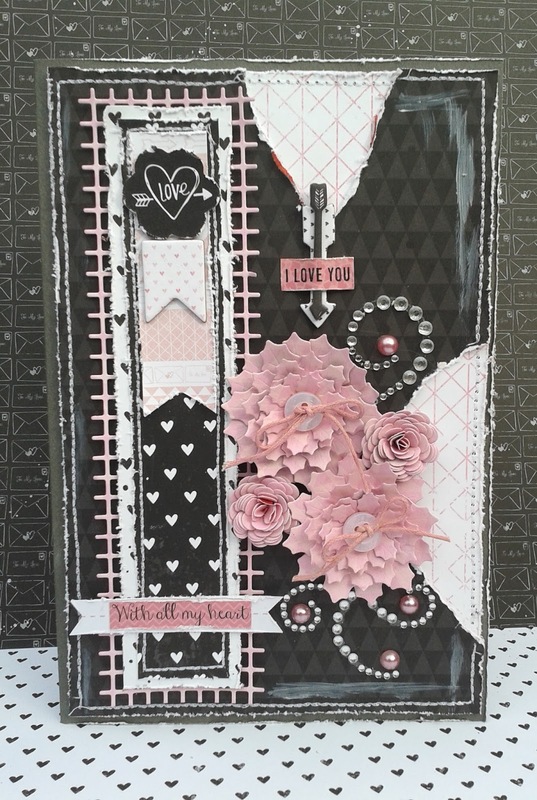 I used lots of layering on the "Lucky in Love" card with die cuts, chipboard and the beautiful "Head Over Heels" pattern papers. 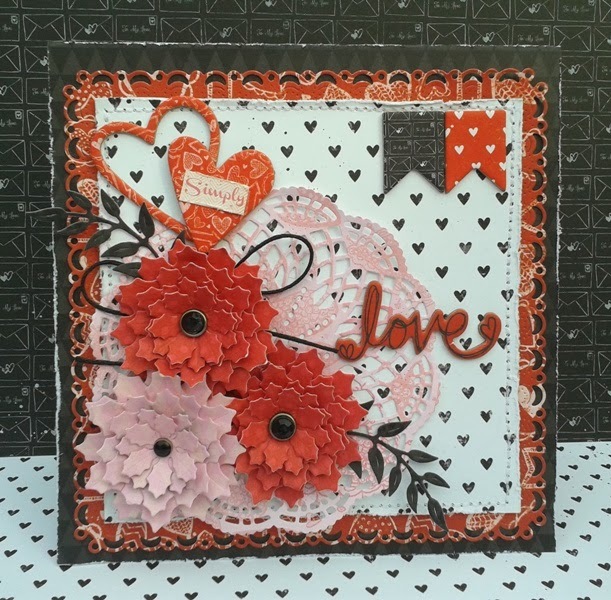 I really enjoy the 12 x12 Chipboard Pieces and love to make them center stage on my cards. I just cut the large flourish up and arranged it on my card to suit my needs. 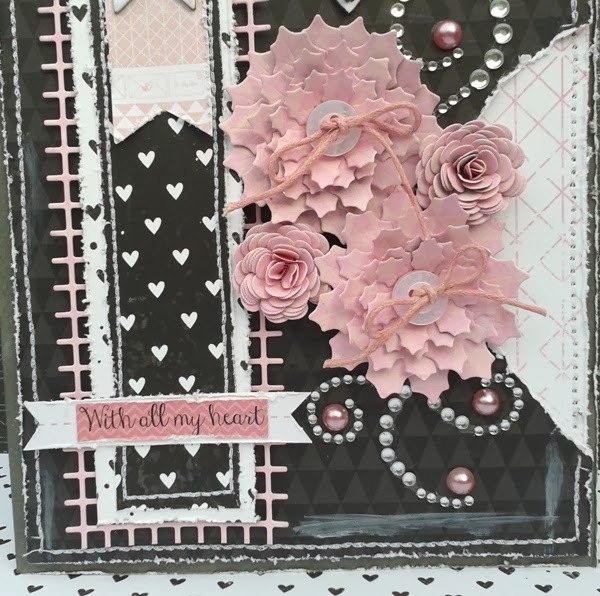 I layered the pattern papers and mixed the patterns up quite a bit for a fun and interesting design. 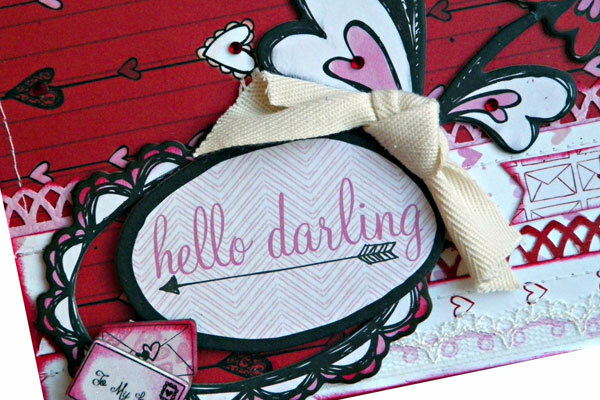 A little lace and bow softens it all and will delight your "Hello Darling" for sure! 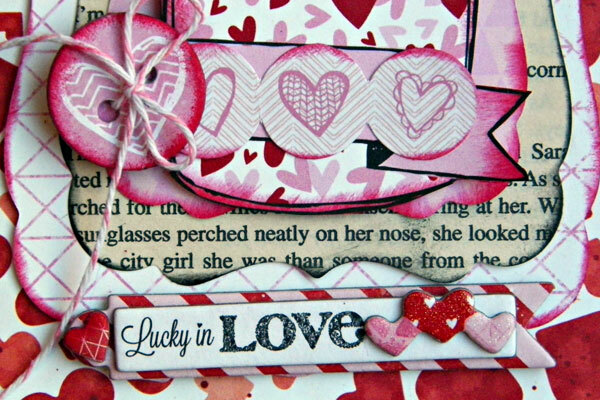 Of course, this paper is perfect for cards "about" and "for" love. I added a bit of paint and tissue paper. This card is a little less hectic than the first one. 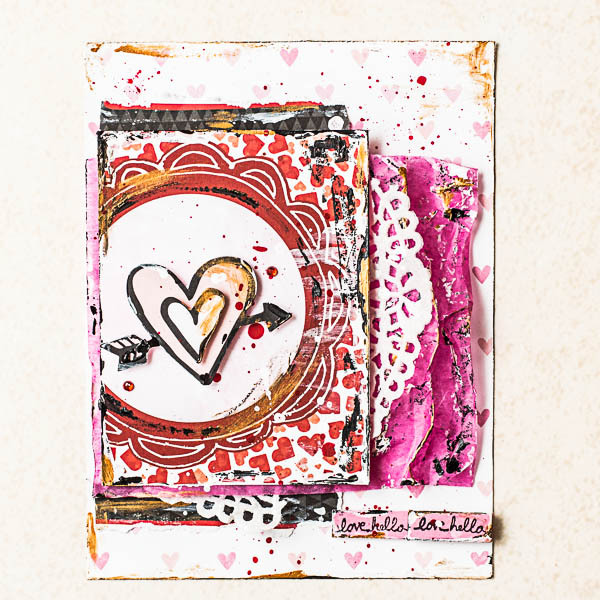 The Head Over Heels collection is such a pretty collection for everything that has to do with love. 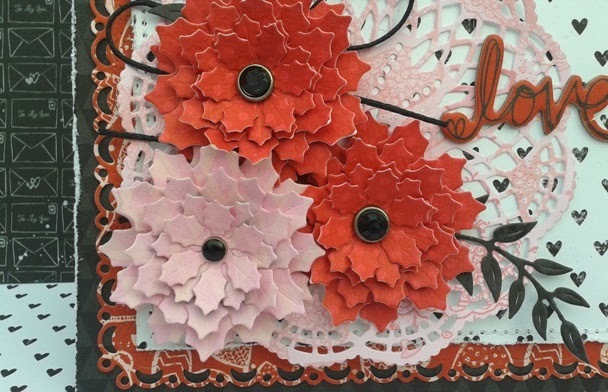 On my card I wanted the main focus to be on the flowers, they where handmade, I love doing that. For this card I wanted to go more masculine, but that didn't work so well. 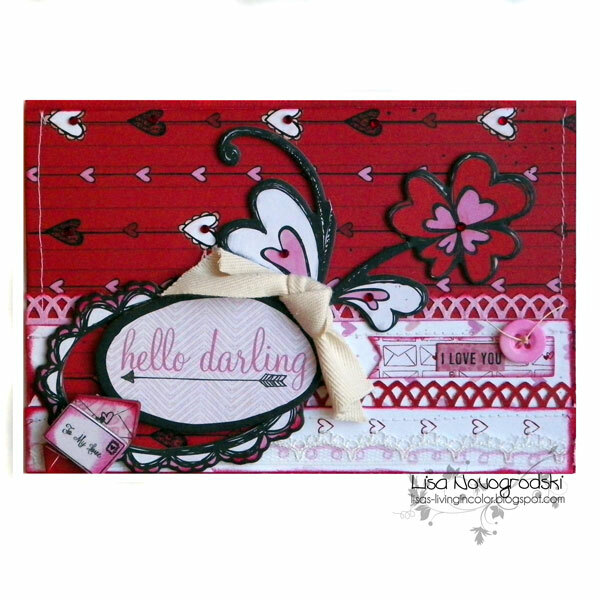 Ladies, all your cards are just fabulous! Beautiful designs! 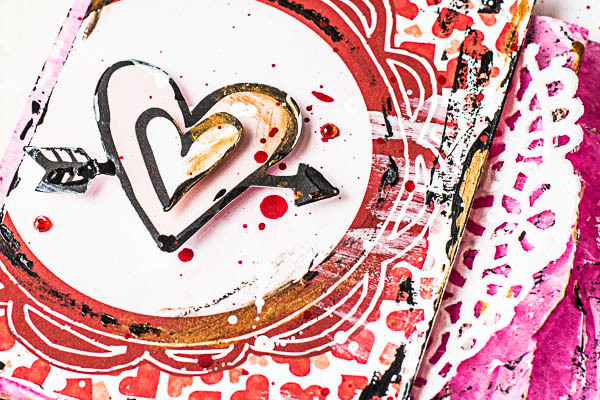 Your Valentines are going to love these cards for sure! They are all gorgeous! Wow absolutely fabulous!!! What beautiful cards!! !